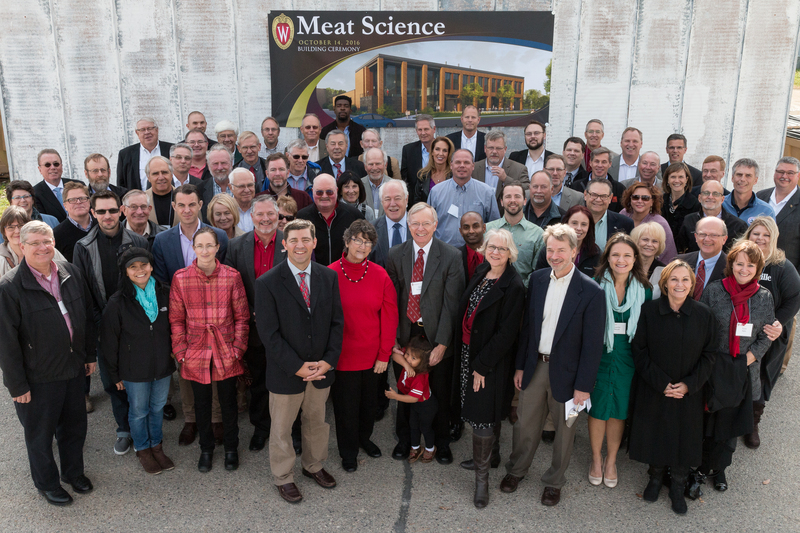 Friday, October 14 was a day of great celebration for the new UW Meat Science Building project. 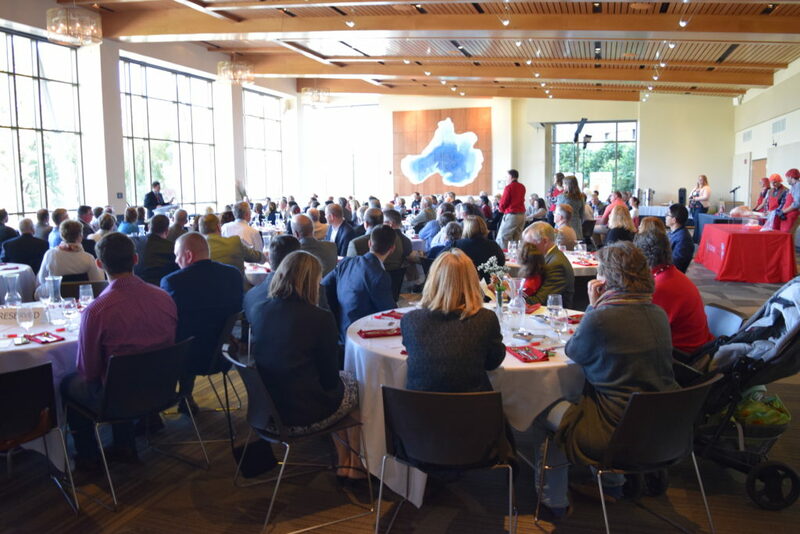 This banquet event was a unique take on the traditional groundbreaking ceremony. In lieu of gold-plated shovels, attendees received stainless steel salt scoops; and instead of breaking ground, individuals were invited to partake in a ham-salting ceremony. The ham-salting ceremony is especially meaningful to the meat industry. Over the next two years, in conjunction with building construction, these hams will undergo a unique aging process resulting in a delicacy similar to an Italian prosciutto or a Spanish jamón. We intend to serve these very hams at the Meat Science Building grand opening event in the Fall of 2018. 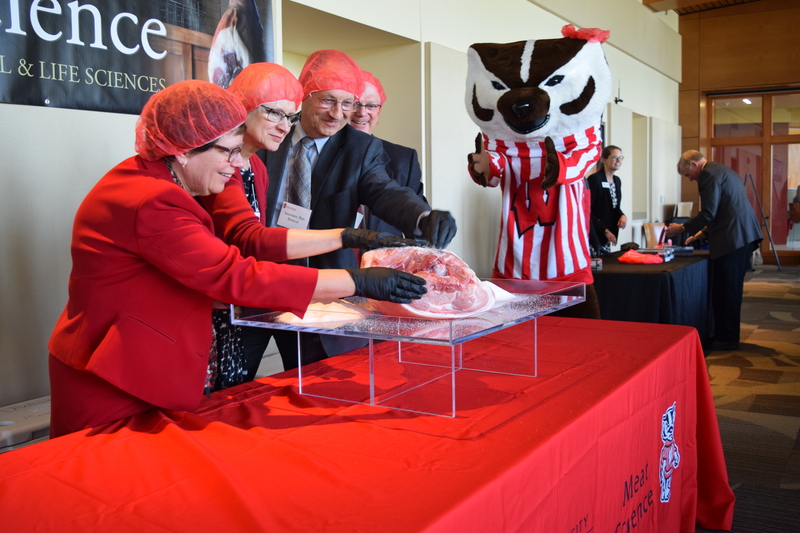 University of Wisconsin-Madison Chancellor Rebecca Blank, UW College of Agricultural & Life Sciences Dean Kate VandenBosch, Wisconsin Secretary of Agriculture Ben Brancel, and the event emcee Christopher Salm gather with Bucky Badger to begin the ham-salting ceremony. Many attended this event including dignitary project representatives, the building design team, UW faculty & staff, the advisory board, students, and building donors.